to do even more good things for you. Whoa. Hold it right there. I know what you’re thinking. 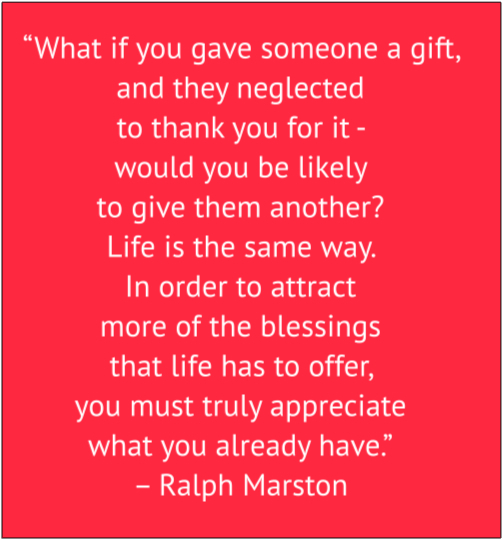 I’m not saying that’s why we practice gratitude – to manipulate others into doing good things for us, as that would be just plain wrong. I’m simply pointing out that this is one of the happy by-products of living thankfully. Most of us, except for the aberrant bunch, are hard-wired to want to do good for those who are grateful when we do good things for them. 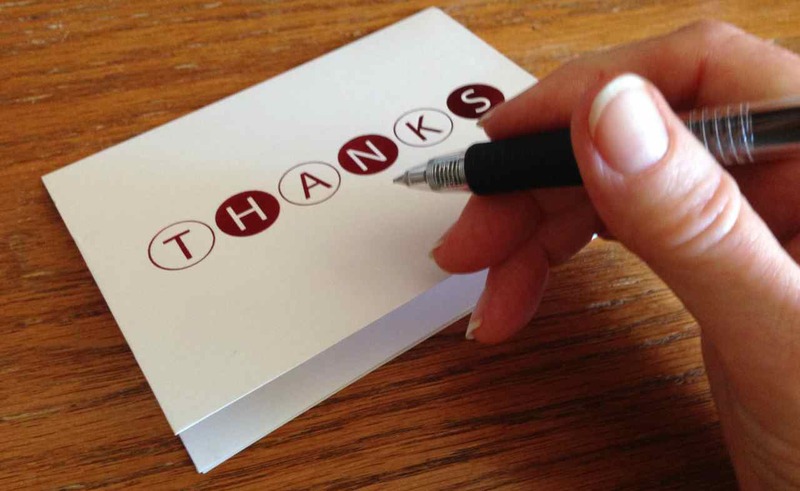 In fact, most of us can’t find a way fast enough to thank others for their thoughtfulness. A couple of years ago, I made a repeating event in iCal to send someone a thank-you every Monday morning. Apparently, I wasn’t paying attention because it was a rather short list during the first few months. But after a few more months, Monday mornings found me with a long list of people I wanted to thank. I kept paying attention: the list got longer and longer. There seemed to be no end of people I wanted to thank. See how this works? Thankfulness begets more events prompting thankfulness. But we’re not quite ready to stick a fork in it and call it done. Pay attention: the fourth and final post in this Living Thankfully series is now out of the oven. And in my humble opinion, it’s the whole point of the series – The Gratitude Grand Finale, if you will. But then, I would say that, wouldn’t I? 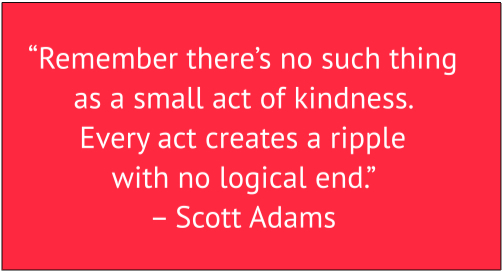 Yes, small kindnesses DO count. which prompts you to do good for others. Have you noticed what you’re prompted to do when you’re thankful for what others do for you? Whether it’s a small kindness (like a free couch) or a career-jumpstart kindness, you start looking around for somone else to bless with your own version of a small or large kindness. Disclaimer: this is true unless we’ve fried our brains or our psyches. There will always be the miscreants who don’t fit healthy society’s norms. Though it’s unlikely you’d be reading this post if you fit into the miscreant category, this disclaimer might help explain the obvious aberrations around us. Have you ever noticed that the coworkers you most like are the ones who are most grateful when you help them with a last-minute project, pass on a relevant tidbit from the office grapevine, or simply give them a ride home when their car’s in the shop? Have you paid attention to the fact that you would do almost anything for the friends and family members who sincerely appreciate what you’ve already done for them – and tell you so? Pay attention to what happens when you simply hold the door open for the person behind you at 7-Eleven. Don’t they have an entirely different attitude toward you than they did two seconds earlier? Usually, unless they’re a member of the aberrant-behavior bunch, they become positively jovial. How does that make you feel? Pretty good, huh? What a bargain: yummy feel-good-ness for simply opening a door. When we pay attention to when others have paid attention to what we need – a door opened when our hands are full or a shoulder to cry on after Dad dies – we become thankful. Living thankfully, in turn, makes us pay attention to what others need and encourages us to follow up with the appropriate aid. Giving that appropriate aid to others makes us feel yummy-good. I’m telling you, this living thankfully gig is a win-win scenario. But I’m not done. There’s some startlingly good news in Living Thankfully, 3. Even when someone gave me a car, I whined! Do you whine? I whine A LOT. At least, that’s what my husband says. Since we’ve known each other over 47 years, I suppose we do have to give the man credit for knowing something about his wife. Example: someone gave us a car several years ago. In spite of its excellent condition, I’m quite sure I still whined. It’s a tuna boat. It’s a gas guzzler. Yadda. Yadda. Yadda. I don’t like my whining any more than hubby does. In fact, I can’t stand myself when I descend into one of my Olympic whining performances. After years of this tripe, I’d had enough of my whiny self. I decided to try out a new tack to see if I could stomp out this most unsavory habit. I decided to believe that living thankfully is just flat-out yummy-good for me. Guess what? It worked! I’ll bet it can work for you, too. I’ll bet I can prove living thankfully is yummy-good, too, but you’ll have to stick with me, as it’ll take four blog posts. When we’re finished, I’ll even bet that you, too, will have an exceptionally long list of your own reasons for living thankfully and a plan for continuing to live thankfully. Here we go. instead of what hasn’t been done for you. 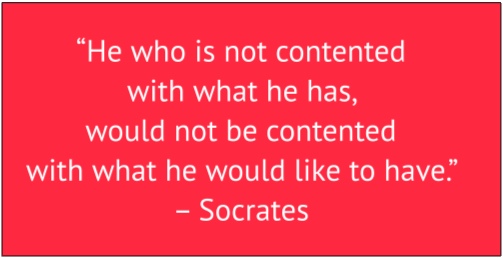 In short, it fosters contentment and contentment is powerful stuff, as it’s the antidote to whining. Traditionally advocated by every major religion, it’s been given all manner of folksy descriptions through the centuries, e.g., looking at the glass half-full, seeing the silver lining in every cloud, wanting what you have, and so on. This was my first exercise to kickstart living thankfully and send Miss Whiny packing. I started in a corner of our living room and worked my way around the room, looking for items that were given to us or free for the picking – things that had already been done for us. Try it. Was that pair of cushy fuchsia pillows a birthday gift? Was the couch a gimme from Aunt Claire because you needed a couch and she had an extra one? What about the table lamp that was a lucky find beside a dumpster? Did a family genealogist on your Dad’s side give you the framed photos of your ancestors as a Christmas gift? Keep looking. Every time I repeat this humbling exercise, I’m astounded. 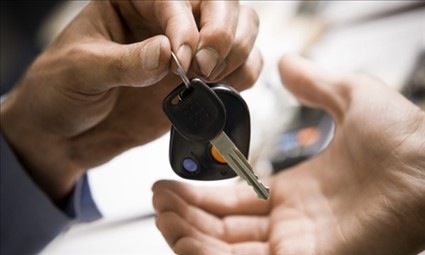 If you’re like me, much of what you see in your home (and perhaps even the cool – or not-so-cool – car in the garage) took no money out of your own pocket. You didn’t even have to spend time shopping for them. They just fell into your lap through practically no effort on your part. Have you noticed how whining self-pity doesn’t play well in most circles? Have you noticed how you don’t even like yourself much when you whine? Easy solution: send your RSVP “regrets” to the pity party. Instead, pay attention to – and be grateful for – what’s already been done for you and the little, simple things around you. It’ll make you feel yummy-good, I promise. I’m not done. Next up: Living Thankfully, 2. Enjoy what’s ALREADY been given to you.